In the spirit of international educational collaboration, the International Affairs Office launched the Embassy Briefing series in January 2010. The briefings provide an opportunity for the diplomatic community and the Department to learn from each other about education initiatives around the world. 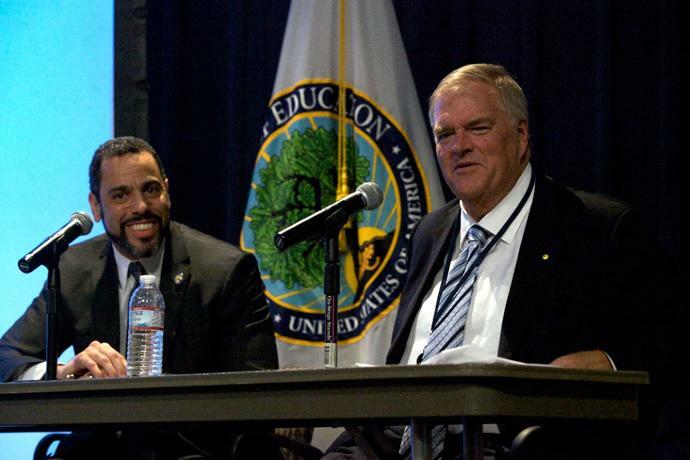 Deputy Secretary Tony Miller and Australian Ambassador Kim Beazley participate in the first "Conversation with Ambassadors" session on November 1, 2010. 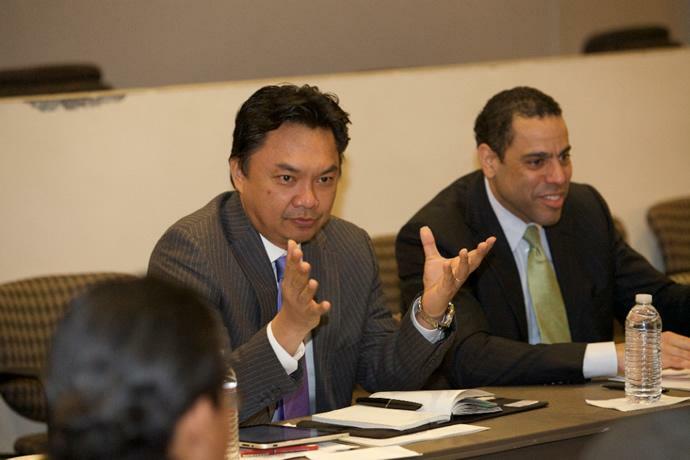 Deputy Secretary Tony Miller during his "Conversation with Indonesian Ambassador Dino Patti Djalal" on April 4, 2011.